Size: 28"W x 22 "D x 49"H - Made from red oak. Standard finish is naturual. Comes standard with removeable state seal. 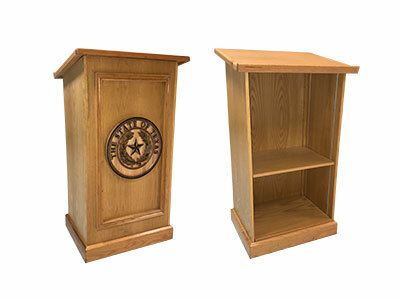 Click here to order Podium.